Construction works on the state-of-the-art US $30m tile and ceramic plant in Norton Zimbabwe nears completion. Sunny Yi Feng logistical general manager Mr Ray Long, confirmed the reports and said that engineers are finalizing installation of equipment and production is expected to start in April. “We are happy with the support we are getting from the Government,” he said. “With this kind of support, we foresee a bright future in our endeavors to contribute towards turning around the economy of Zimbabwe. By end of March, we must be through with the installation ahead of the official opening of the factory in April,” said Mr Ray Long. The plant is situated on 100 hectares that have been voluntarily shed off Mallock Farm, owned by widow of national hero General Vitalis Zvinavashe, Mrs Margaret Zvinavashe. Upon completion it will be the biggest tile plant in Southern Africa which will also employ at least 1 700 people, with priority being given to those living in or around Norton. The plant which will constitute 98% Zimbabwean workers of the total workforce, will produce tiles for both the domestic and international markets. Sunny Yi Feng Tiles Zimbabwe (Pvt) Ltd will also invest a total of US $1bn in the project. This will be Zimbabwe’s first porcelain venture, with Africa spending an estimated US $3,9bn importing porcelain yearly. 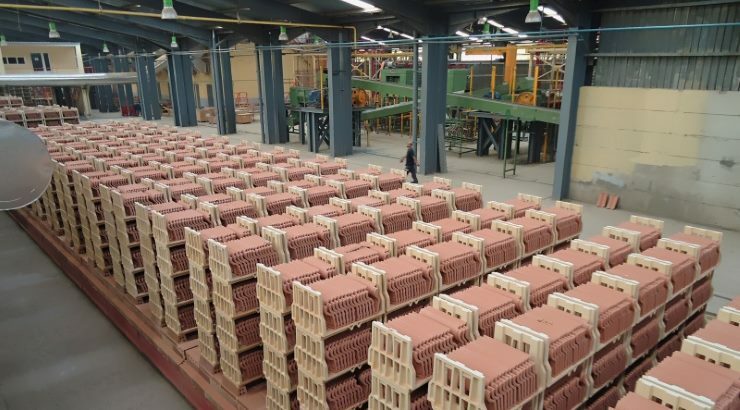 Among the biggest importers are Nigeria, South Africa and Algeria.Tile production will begin in April with production of porcelain tableware (chinaware) earmarked for December 2019.